NYC is Blue: USA Today: Lampard is "The Worst Signing in MLS History"
USA Today: Lampard is "The Worst Signing in MLS History"
Frank Lampard is the worst signing in MLS history. This isn’t even a particularly hot take at this point. It’s not an original thought. This is consensus. Lampard is a Designated Player for NYCFC and in two seasons with the club, he’s played just ten games. He hasn’t seen a minute of action this season, and it’s not clear if he even has a timetable for his return this year. How did we get here? How has this been such a catastrophe? Let’s go back to the beginning and follow along the timeline of the worst signing in the league’s history. MLS announces that Frank Lampard has signed a Designated Player contract to join expansion team NYCFC, which is set to begin play in 2015. Lampard was set to join David Villa as the two faces of the franchise as it embarked on its professional journey in New York. There is much rejoicing. One month after announcing that Lampard had signed with NYCFC, Premier League giants Manchester City announce that Lampard will be joining their team on loan until the start of the MLS preseason. Manchester City and NYCFC are both owned by City Football Group, so the loan isn’t very surprising to fans. The clubs say that Lampard will return to the MLS club for its inaugural game. After Lampard starts earning playing time with Manchester City, and manager Manuel Pelligrini expresses interest in keeping him with the Premier League side, City Football Group admits that Lampard never signed a contract with NYCFC, and thus was never actually “loaned” to Manchester City. 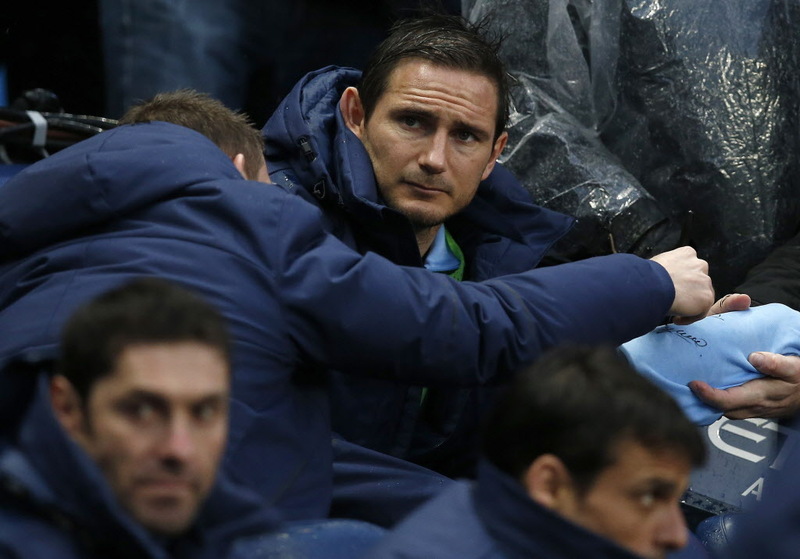 It turns out that Lampard had only signed a contract with the ownership group, City Football Group, who could decide where and when he played. 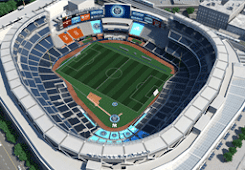 NYCFC fans are understandably upset. After the conclusion of the Premier League season and some time off to rest, Lampard officially signs with NYCFC … but comes into the team injured. He sits out a month recovering. Lampard finally makes his debut performance for NYCFC as a substitute. He goes on to play in 10 matches, scoring 3 goals in a season that saw NYCFC miss the MLS Cup Playoffs. Lampard has not played a minute in this MLS season, missing 10 consecutive games with what was originally described as a “calf strain.” NYCYFC has three wins so far this season, and currently sit in fourth place in MLS Eastern Conference. With a team already loaded with midfielders, it’s not clear who Lampard would replace in the starting lineup. The BBC also announced this week that Lampard would provide analysis for the network’s coverage of the Euro 2016 tournament this summer … right in the middle of the ongoing MLS season. This is a slap in the face to NYCFC fans — Lampard is making around $6 million this year, and he will spend some of his summer as a TV analyst for a European tournament. So there you have it: A $6 million Designated Player managed to insult and lie to the team’s fans, miss half a season, underperform, and then launched a TV career while missing ten consecutive games. And that’s how you become the worst signing in MLS history. I really hope Frank breaks through this season, if only to shove these articles down the naysayers' throats.